EFI Engine Loom Connectors to suit vehicles using Bosch engine management. 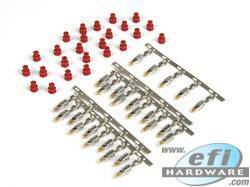 The pins in this kit are designed to work with Bosch type connectors that have a single locking tab on each pin. Seals are provided, and should be used when the hole that the seal would seat into is round. The pins in this kit are designed to work with Bosch type connectors that have a two locking tab on each pin (one on top and the other on the bottom). Suits many Common Rail Diesel Injectors. Connector supplied with Terminals and Seals. 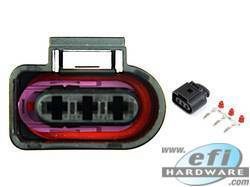 This connector with compact 90 degree boot make an extremely neat injector or sensor connector set. Also features Heavy Duty gold plated terminals. 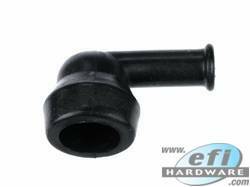 2 Pin connector to suit many Bosch Alternators used on GM LS Series Engines. The connector is supplied with pins and seals. Injector plug to suit jnr timer electrical connection features compact style clip required when fuel rail runs close to connection point. 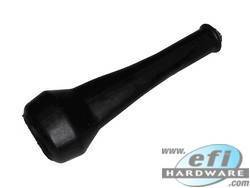 Includes heavy duty gold plated terminals and high quality rubber boot. 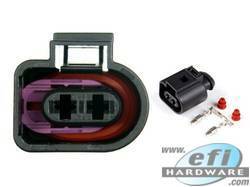 Also fit one have of the early wide band sensor harness. 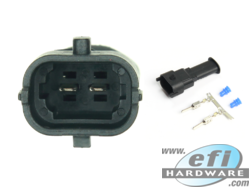 This Injector Connector is specifically designed to suit your injectors with the EV(X) "Square" style injector connectors with the top-center key. 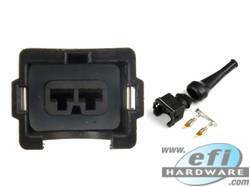 This Connector is supplied with Pins and High Quality Rubber Boot. 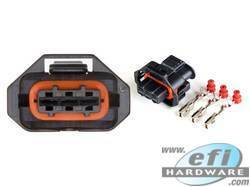 Also fit one have of the early wide band sensor harness. 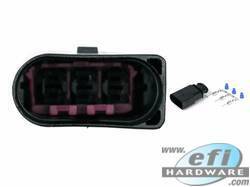 Suits Camshaft Position Sensor Connector in various Volkswagen and Audi vehicles. This 3 Pin Bosch Connector has male terminals. Note: This is the smaller pitch Bosch Connector with a pin pitch of 3.9mm. 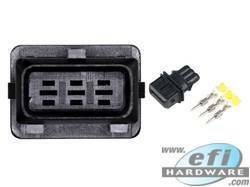 3 Pin Bosch Connector - Commonly used on Late Module European Cars. This is a 3 pin connector with male pins from the Timer Junior family. 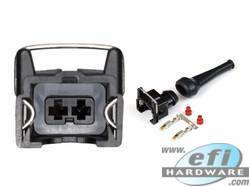 Common Bosch 3 Pin Male Connector with Seals and Terminals. 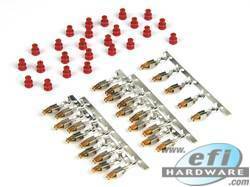 Bosch 3 pin plug with Gold Terminals, pin & boot kit for 3 pin Bosch TPS and igniters. Bosch 3 Pin Common Rail Injector, Crank & Map Sensor Connector.